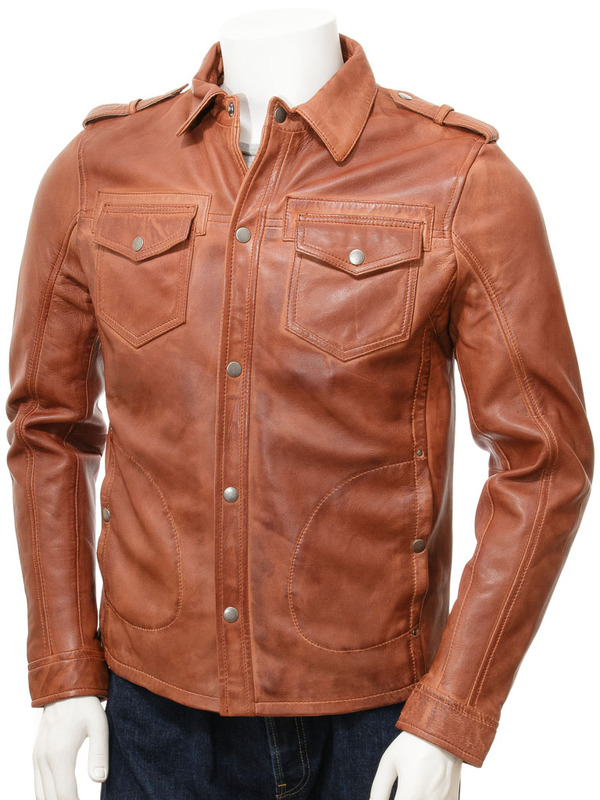 A great leather shirt styled jacket. 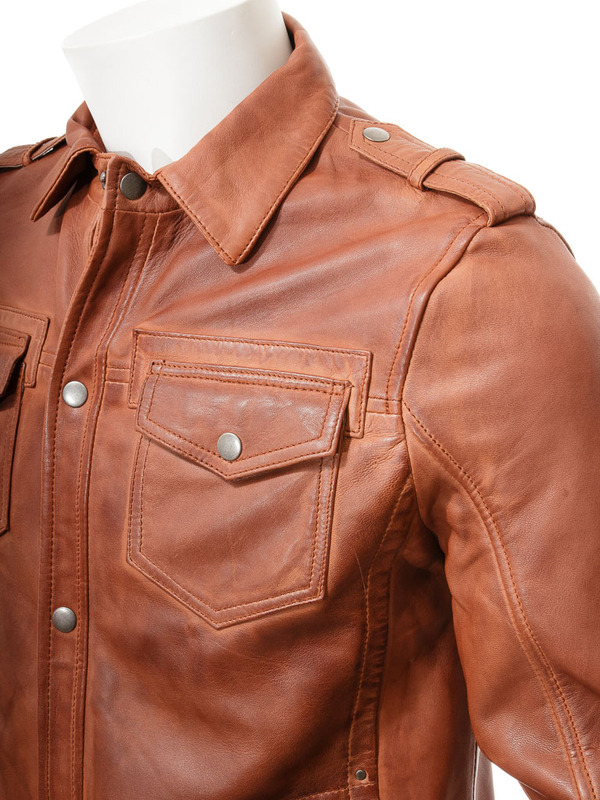 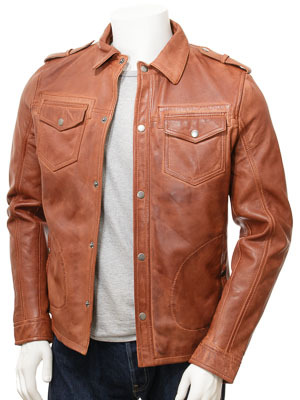 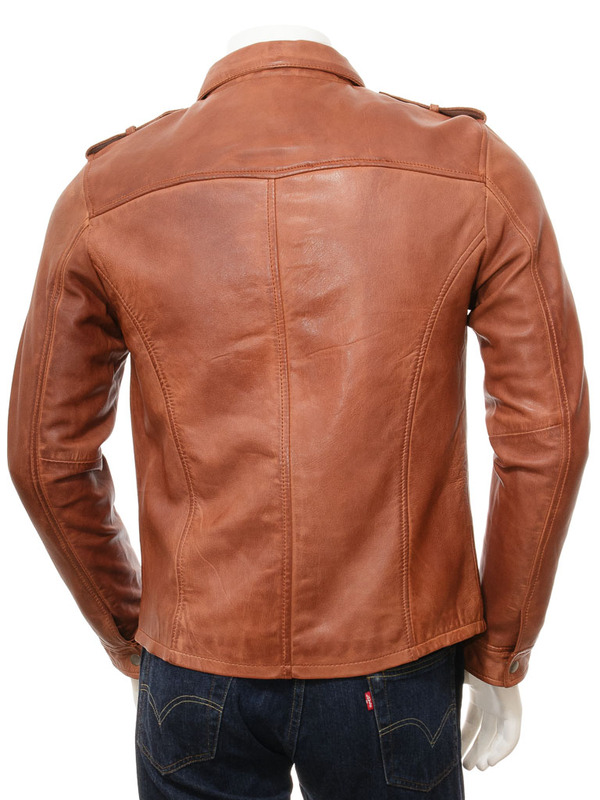 Created from tan, super-soft sheep aniline, this jacket features a press stud fastened front with a shirt style collar. 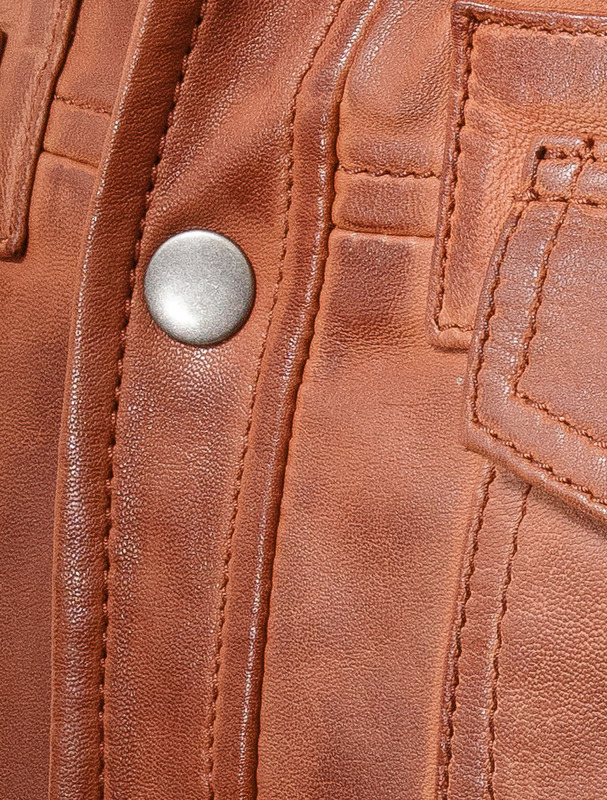 There are two flap patch pockets at the chest with another couple of pockets at the waist. The cuffs are press stud, shirt gauntlet style while the interior is fully satin lined and incorporates two more leather lined pockets, one of which is zipped.